Upon entering Serenity Day Spa you will experience a profound sense of relaxation. You will find that our day spa is unique by the services we offer, certified organic products we use, and our courteous staff that enjoys going above and beyond to ensure you have a memorable experience. 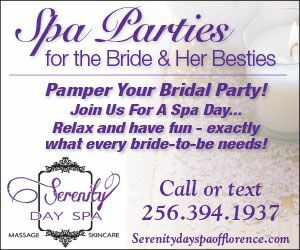 Serenity Day Spa focuses on YOU! We ensure the upmost quality and personal service every time you visit us. We offer customized and result oriented Spa treatments that include: facial services, chemical peels, body treatments, full body waxing and Sugaring including Brazilian , nail services that include gel and dip powder, lash extension, microblading, air-brush spray tanning, and massage . We also have monthly specials, and exclusive Membership packages. Check with us frequently for the updates! We look forward to pampering you and your friends and family. Experience the ultimate escape at Serenity Day Spa.